Halloween is on a Saturday night this year, and in case you are planning a party—whether a very small or a very large get-together—we’ve enlisted a few Decorist designers to help you plan a fabulous spooky fête with little effort. 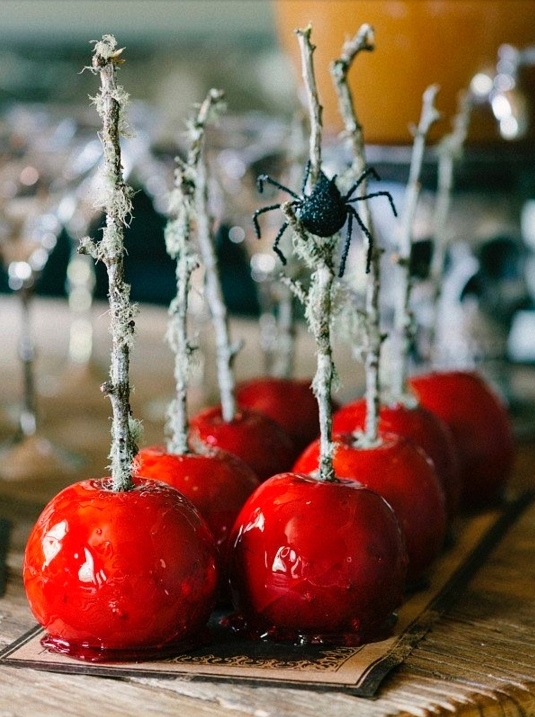 Here are five easy steps to a perfectly chic, fright-filled soiree. 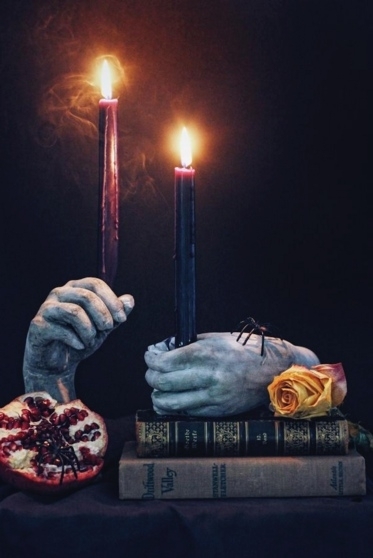 Your entry or foyer is an important place to set the mood for your personal fright night festivities. Here are some great foyer ideas to get you started. Well, we’re pretty in love with Erica Chan over at and this year she outdid herself with this amazing molded hand project. We love the ethereal still life she created with cut pomegranates and a slightly fading rose. Erica also created the (killer) skull arrangement on the front of the blog. Love, love, love. No time to mold hands? Use plastic skulls instead and affix dark candles to the top (securely! ), letting wax drip over the skull for a perfectly creepy effect. 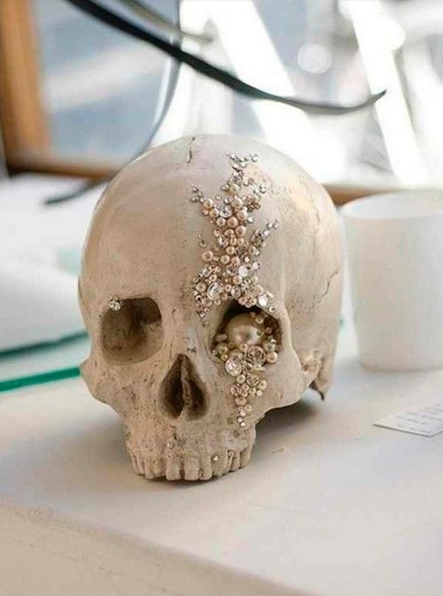 Even the Skull Needs Some Glam. Looking for a lighter look with some sparkle? Grab a cool skull and glue or drape some sparkle to it. Um, done! Get Animal Object, Add Twigs. 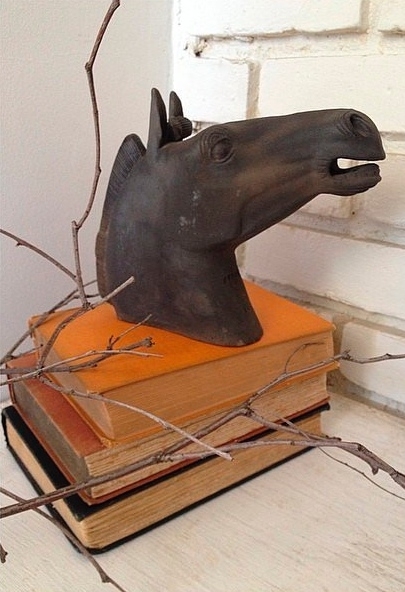 Find an animal object around the house—horses, dogs, cats are all good candidates. You will be amazed at the mysterious, rustic effect a few dried twigs can have on any object. Add some spiderwebs to it all to up the creep quota. Have any creepy old books? Stack 'em high. Next up, pumpkins. Yes, they get overplayed this time of year, but pumpkins still have star quality at Halloween and throughout the fall. Here are some ways to make them work with your style. 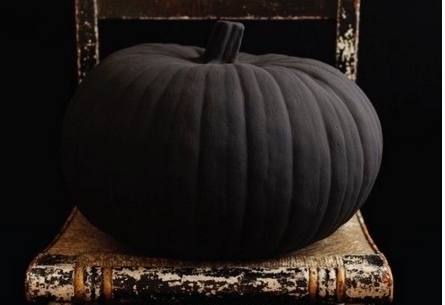 Spray or regular paint a pumpkin or two in matte black. Bright orange has never looked this good. There are so many great varieties and colors of pumpkins now available, you can choose your color palette. If your Halloween mood is more ghostly white than dark gloom, embrace the color scheme wholeheartedly for a memorable look. 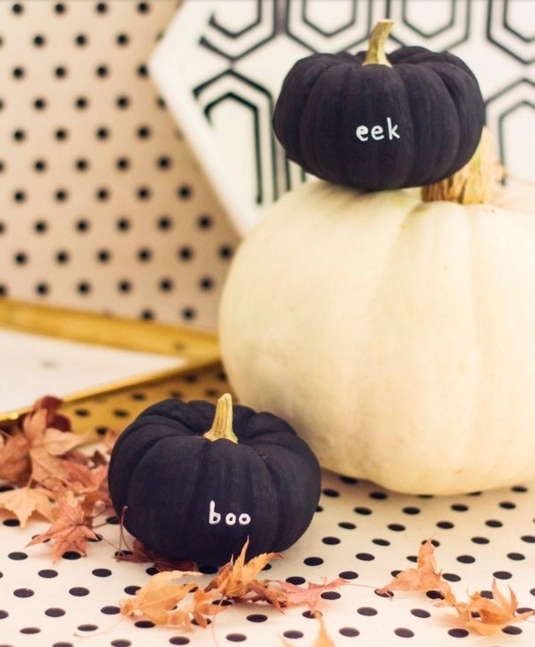 These fun, painted pumpkins display tiny messages that will make even the scariest of zombies crack a smile. 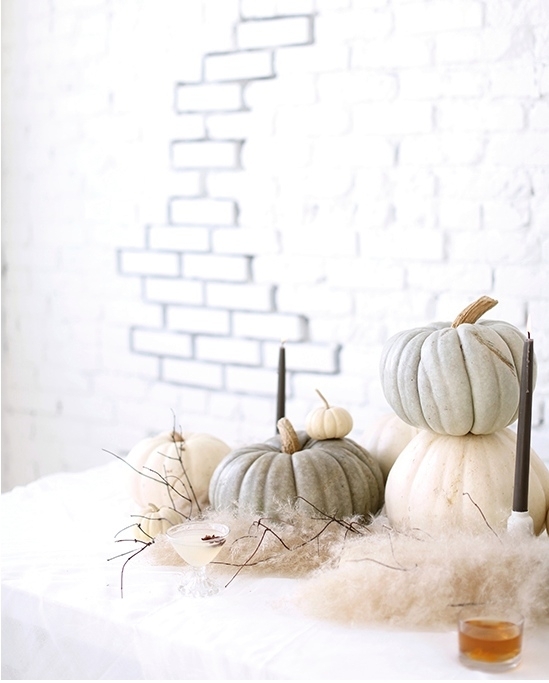 A simple color theme of white and rust/black painted pumpkins have a great graphic quality and work with any decor. 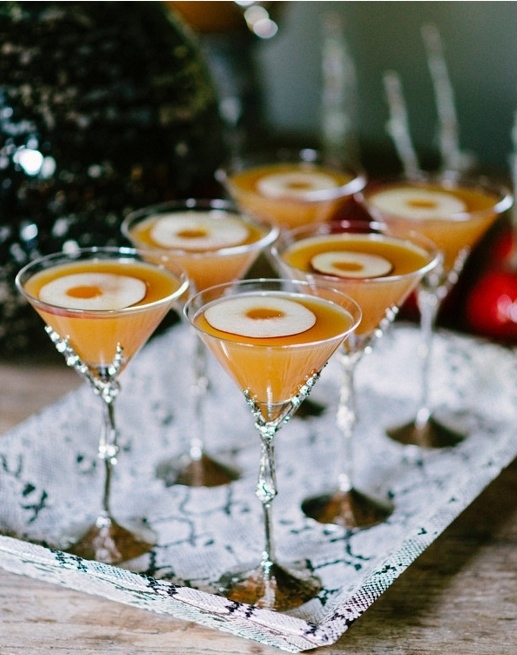 No respectable Halloween party is complete without a bewitching drink or two. No matter what you serve, the key is to make it look good. Creepy gets bonus points. Start with beautiful glasses. Rim your glasses with anything sparkly, the darker and deeper the color, the better. 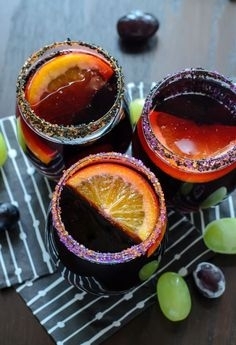 Then, use drink colors that create beautiful contrast, like orange and cranberry juice. Add interesting garnishes like twigs, seeds, pods and herbs (make sure they are all edible!) Pull it all together on a great tray to finish it off. An adult take on bobbing for apples. Freeze apple slices to keep your chilled. Simple but, never plain. A splash of apple cider in champagne or sparkling wine is all you need to create this savory . 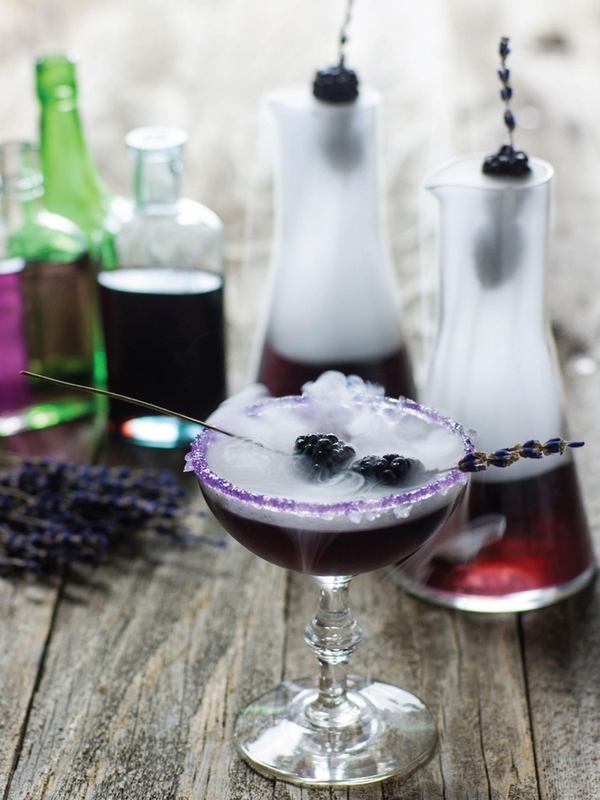 For an unexpected twist, try Mr. Hyde’s Poison. Add a blackberry and sprig of lavender as a garnish. Entertaining a large party? Save yourself from being shackled behind the bar. Set up a station for your guests. Gather a number (the more the better) of old bottles in varying heights and shapes. Insert taper candles and let them burn/drip a bit to create a been-around-awhile, ghoulish effect. 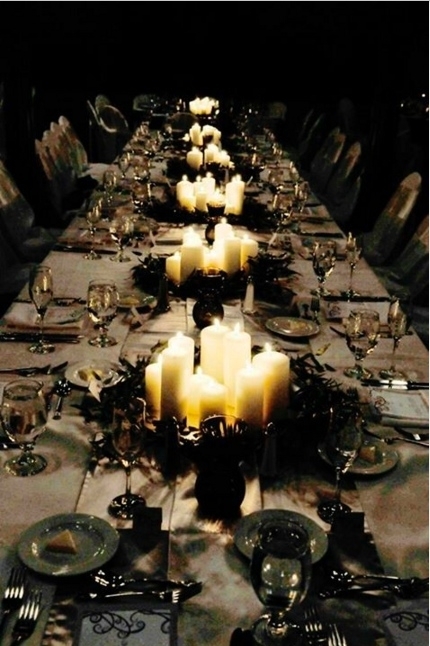 Pull a variety of white candles into a round grouping and repeat down your table. 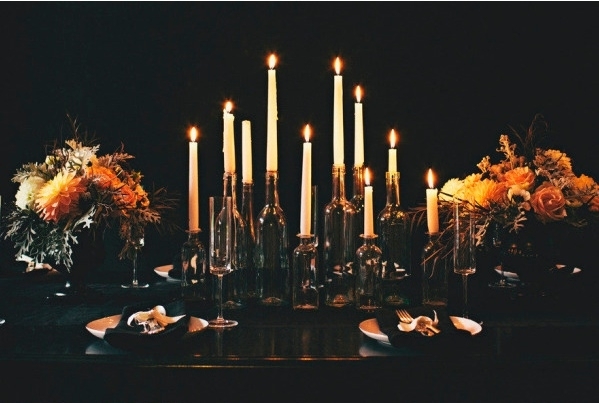 Surround the candles with something black and textural-feathers, twigs, gauze. Voila! Symmetrical arrangements, bright colors and unexpected utensils are all part of creating dramatic, beautiful feasts. 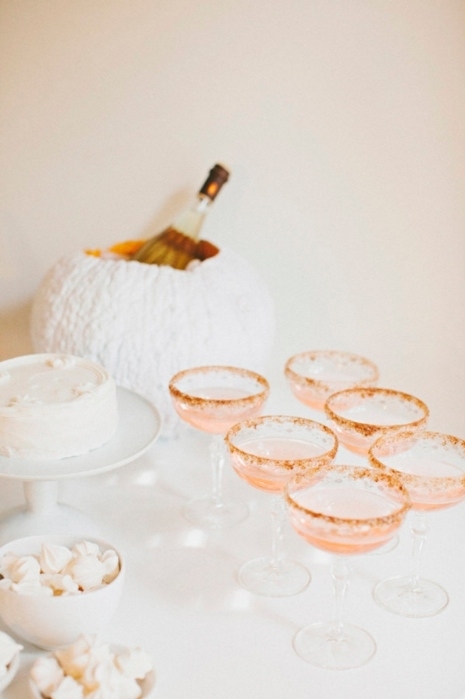 Arrange your delicacies on pretty trays with textured linens, add a dash of creep and sparkle, and vary the height of your displays for can't-live-without appeal. Lastly, don't forget your costume! Here we are channeling the grand dame of Halloween herself, Martha Stewart, for inspiration, as we are kinda more than a little in awe of her. 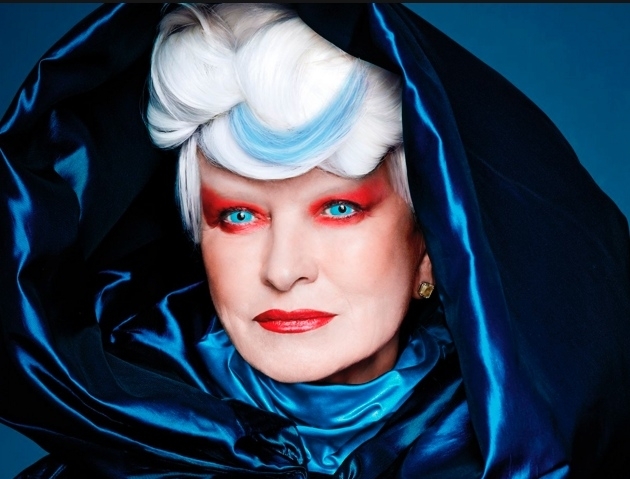 Sometimes a really cool glam cape and some red eyeshadow is all you need. Check. Have a fabulous and stylish Halloween! 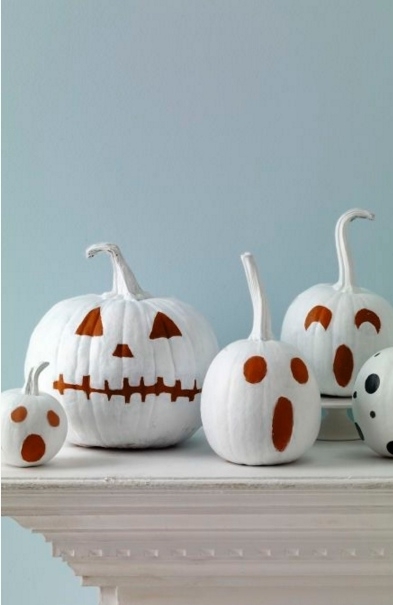 Need some non-Halloween home decorating help? We're here to help! Learn all about starting a design project with Decorist.